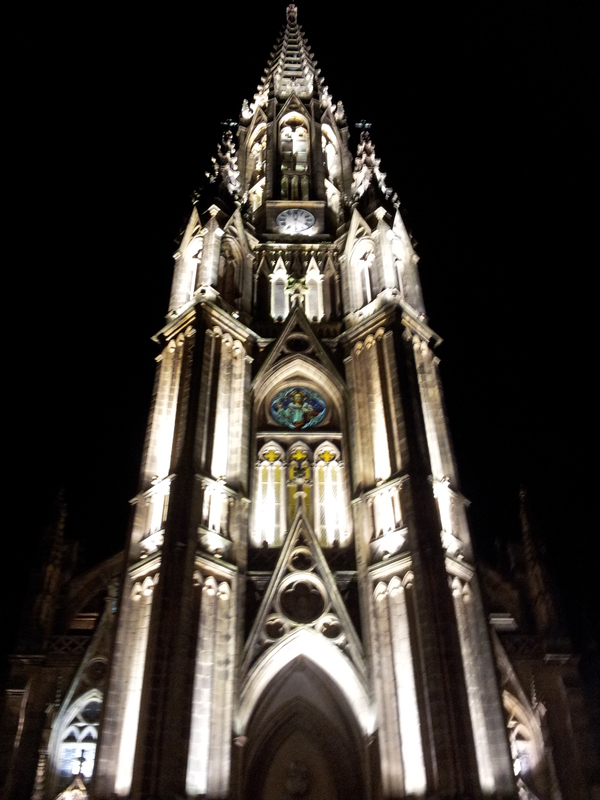 San Sebastian, or Donostia in Basque, is a beautiful little resort town that is world famous for its food. The Basque Country, along with Catalunia, is renowned in Spain for having some of the best chefs in the land and this town, rather than Bilbao, is the culinary capital of the region. The town itself is very pretty with lots of Belle Epoque architecture along the front and a grid of thriving tiny streets in the old quarter. There is only one long beach, El Playa de La Concha, which gets its name from the beautiful shell-shaped bay. It can get very crowded, although it is wide enough to cope. You can jog the whole length of the promenade in about twenty minutes. 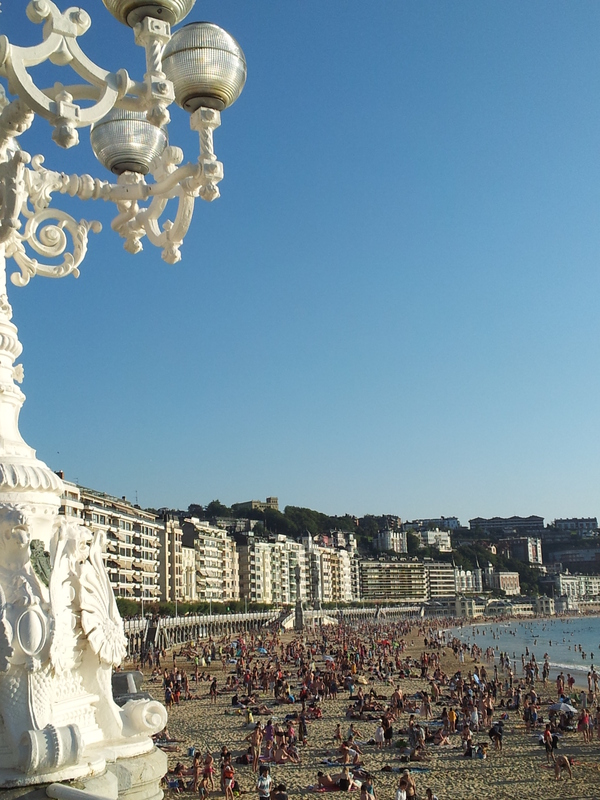 At the left end there is a sculpture called the ‘Comb of the Winds’, which gets rave reviews although I can’t see why. It’s essentially just three rusty iron claws sticking out of the rocks. The nearby blowholes which amplify the sound of the waves under the promenade are far more interesting. So then, to food. 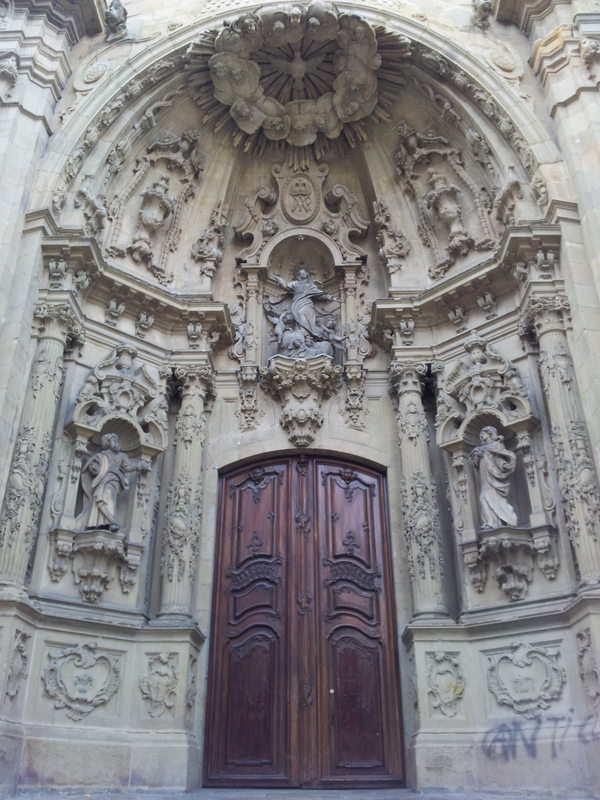 San Seb has more Michelin stars per citizen than anywhere else in the world. Also, since the closure of El Bulli in Catalonia, the title of best restaurant in Spain has been given to Arzak, a local father and daughter operation. Ideally you need to book ahead by several weeks to get in here. Having had no time to plan ahead, I tried phoning up on a Tuesday night to see if they had any cancellations but sadly there was no table for a single diner. This is a busy modern bar selling a range of imaginative tapas. 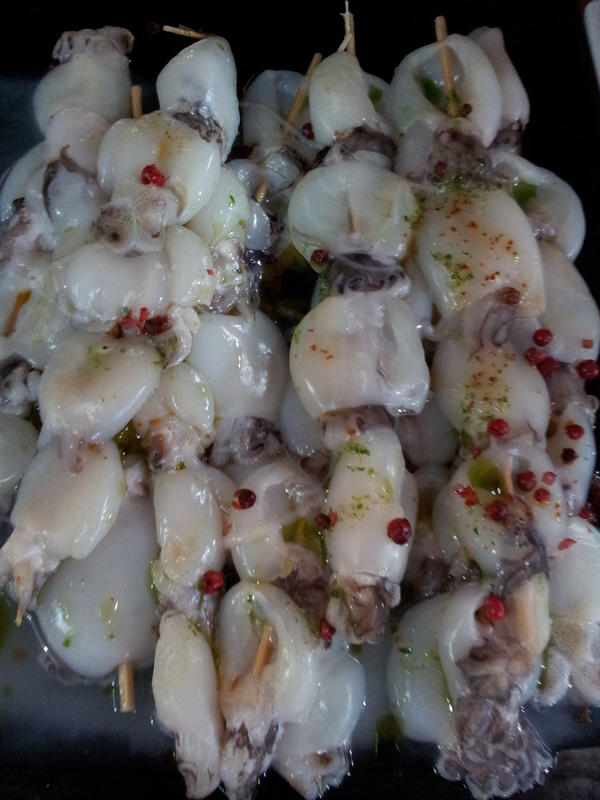 I started with a squid brochette which looked great on the skewer but shrank to nothing once grilled and was a bit salty for my taste (B). The accompanying glass of local Txacoli (a young, slightly bitter white wine that should be poured from a height to aerate it) was also rather disappointing (C). 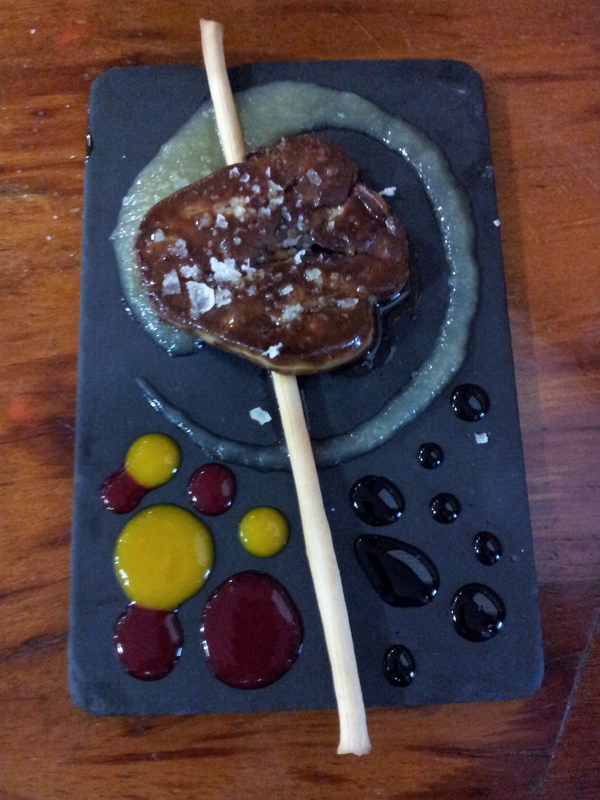 Things got much better (A+) with the Foie alla Plancha (grilled Foie Gras) which was ingeniously married with a swirl of apple sauce and dots of raspberry and reduced balsamic. The glass of Rioja (Pierola) went so well with it had to restrain myself from getting a repeat order of both (A). 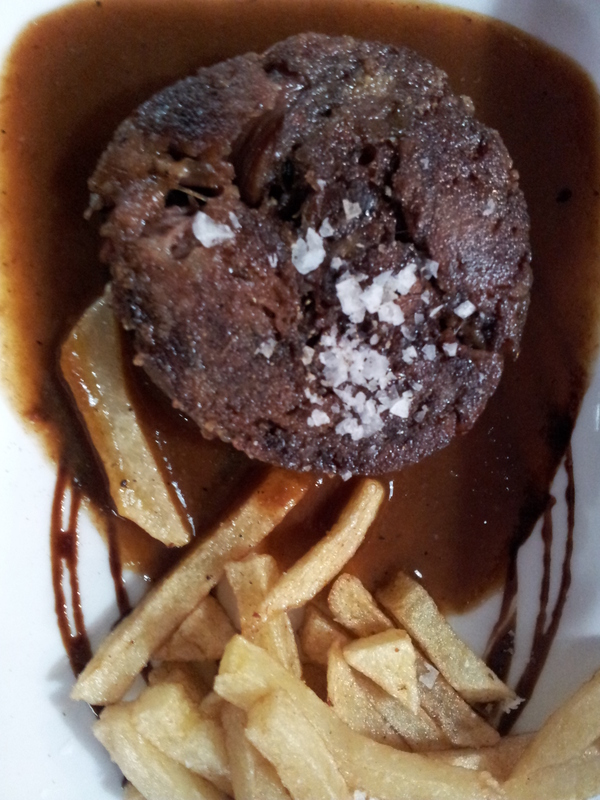 Instead I went for the Rabo de Buey (oxtail) which although not particularly attractive, was full of flavour (B+), and the chips it can with were ok too (B). I had to wait for this for an inordinately long time so my waiter kindly gave me another glass of Rioja on the house when it finally arrived. 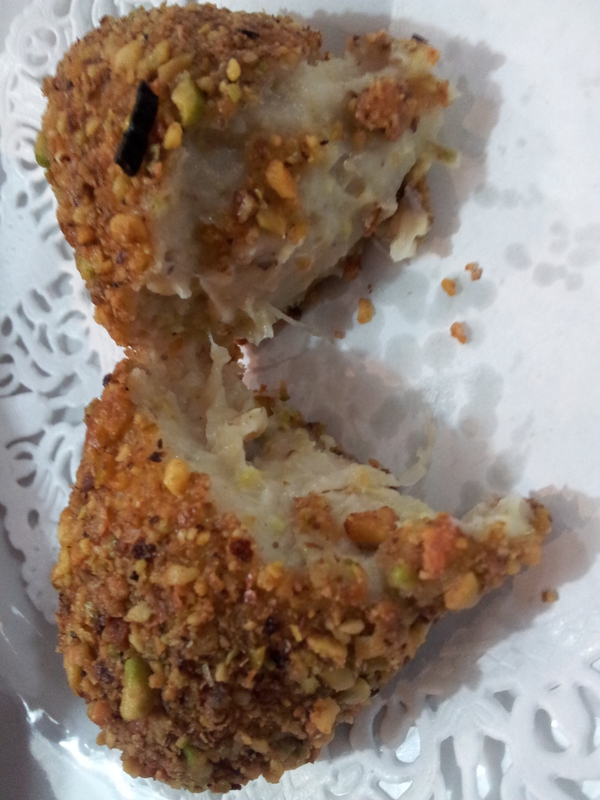 I also had the Croqueta de Pistachios, a ball of deep fried saltcod with a crust of pistachio nuts, which was interesting but not amazing (B). With a glass of Ribeira del Duero (Figuero), the total came to a reasonable €26.30. After this I went to Bideluze at 14 Plaza Guipuzkoa. It’s an old bar (Intermediate B) with young staff which was playing uptempo house when I was there. I’d imagine it would be a good spot for early evening drinks at the weekend. 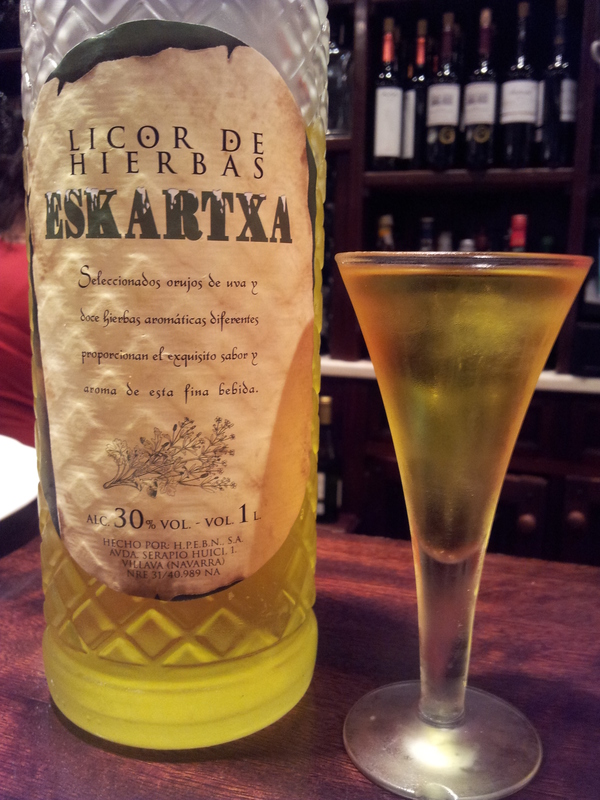 I had an excellent hand made Orujo des Hierbas made by Eskartxa here. And that was it! Only one night on the town, which was hardly enough to do the food scene any justice. Just hope I get to go again. This entry was posted on October 23, 2012 at 3:50 am and is filed under Basque Country, San Sebastian, Spain with tags Astelena Taberna. You can follow any responses to this entry through the RSS 2.0 feed. You can leave a response, or trackback from your own site.